GPS Tracking Tracker will have a brand new application for iOS and Android that will be released within the next few weeks. The application will be an easy to use system in order to track real time GPS Tracking devices. The new app is an alternative to the mobile friendly website that is currently provided by GPS Tracking Tracker. The application will provide information such as the miles per hour, coordinates of the location, street view, satellite view, breadcrumb trail, and more. It will also provide the report history of the GPS Tracker. Multiple units are able to be viewed underneath the same account. This entry was posted in Uncategorized and tagged gl 200, gl 300, gps device, gps locator, gps tracker, gps tracking, micro tracker, phone tracking, portable tracker, tracking device, tracking sytems, vehicle tracker on October 26, 2016 by admin. GPS Tracking Tracker has several types of GPS Trackers that can be used by companies to monitor employees. GPS Tracking Tracker offers the Micro Tracker, OBD Tracker, and the Hard Wire Tracker. All three units are ideal GPS Tracking devices that can be used to monitor fleets. GPS Tracking Tracker allows multiple units to be added underneath the same account. The GPS Tracking software will provide information such as the miles per hour, location, satellite view, street view, breadcrumb trail, and more. The GPS Tracking software will also provide text/email alerts which can notify the user of alerts such as perimeter notifications, motion detected, low battery and more. Fleet management allows companies to better track their employees by knowing the exact routes they take in order to budget gas costs and save time. Employers can make sure that employees aren’t going off route and doing leisure activities on work time. Fleet Tracking also allows companies to see if a more direct route can be used in order to save time and money. Fuel management and budgeting finances are two of the main benefits of fleet tracking. This entry was posted in Uncategorized and tagged 3g tracker, gl 200, gl 300, gps device, gps locator, gps tracker, gps tracking, hard wire tracker, micro tracker, miniature tracker, obd tracker, phone tracking, portable tracker, tracking device, tracking sytems on September 21, 2016 by admin. In a recent incident at New Port Richey, Florida, shoplifters attempted to steal a pair of jeans from a Saks on Fifth store. The thieves were caught due to GPS Tracking. The store placed a GPS Tracking device inside one of the pairs of stolen jeans so once the jeans got stolen, employees were able to track the location of the stolen merchandise in real time. They alerted the authorities and the cops were able to intercept the vehicle on the corner of an intersection in Florida. The cops recovered all of the stolen merchandise which included over $1500 from the store as well as stolen merchandise from other stores. This is one way that an investment in GPS Tracking saved the company money. Without the GPS Tracking device in place, most likely the stolen merchandise would have never been located. GPS Tracking Tracker offers real time GPS Tracking devices that can be used by stores to track their merchandise. The portable Micro Tracker is about the size of a matchbox and fits in the palm of your hand. It can discretely be attached to an article of clothing or even placed inside of a box. GPS Tracking Tracker’s software allows the unit to be tracked using any smart phone, tablet or computer. The Micro Tracker has a built in motion sensor in place so if the merchandise is moved, text/email alerts can be configured to notify the user. It also has the option of geofencing so if the merchandise ever leaves the store you can receive a text/email. Discounted rates do apply for large purchases. Protect your valuables today with GPS Tracking Tracker’s real time GPS Tracking devices. This entry was posted in Uncategorized and tagged 3g tracker, asset tracking, gl 300, gps device, gps locator, gps tracker, gps tracking, micro tracker, miniature tracker, phone tracking, portable tracker, tracking device, tracking sytems, tracking valuables on August 3, 2016 by admin. 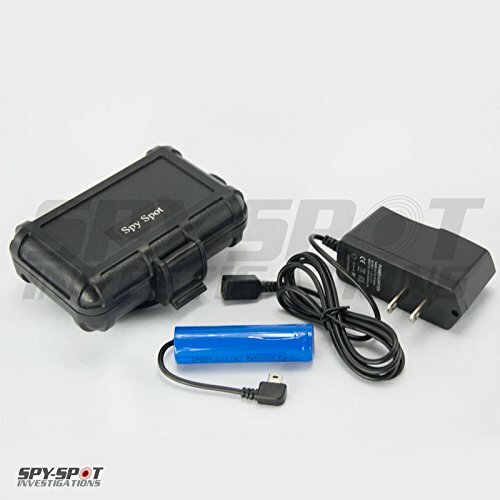 The 3G OBD Tracker is the latest GPS Tracker offered from Spy Spot Investigations. The 3G OBD Tracker runs off of the 3G network as opposed to the 2G network. This allows for a wider range of signal, which in turn can lead to less signal interference. The 3G OBD Tracker provides updates every minute and installs within seconds. No installation is required for the 3G OBD Tracker and just plugs in underneath the steering wheel. The tracking portal can be accessed using any smart phone, tablet, or computer with the easy to use software. The tracking portal will provide information such as the miles per hour, location, satellite view, street view, breadcrumb trail, and more. The 3G OBD Tracker can also be configured to provide text/email alerts of any ignition on/off reports and/or perimeter notifications. The tracking portal can be accessed worldwide using worldwide SIM cards that work in multiple countries. Contact us for an estimate or for more information. This entry was posted in Uncategorized and tagged 3g tracker, gps device, gps locator, gps tracker, gps tracking, obd tracker, phone tracking, tracking device, tracking sytems, vehicle tracker on July 12, 2016 by admin. Real Time GPS Trackers such as GPS Tracking Tracker’s Micro Tracker can be used to track farming equipment. CNET covered an article that shows how GPS Technology has evolved over the years and where GPS Technology is heading in relation to farming. The article states that manufacturers such as John Deere and New Holland have created self-driving tractors that can detect everything from what the machine’s doing to what the conditions of the crop are. Farmers can monitor progress through their iPads without actually being in front of the crop. Combined with the use of camera technology and GPS Trackers, farming has become a relatively simpler process. GPS Tracking Tracker’s real time GPS Trackers can aid in the tracking of farming equipment by helping to prevent theft of equipment. Farming equipment can be very expensive, so placing a GPS Tracker on expensive equipment will ensure that the equipment remains safe and isn’t tampered with. If the equipment is ever stolen, the GPS software can be configured to provide a text/email alert to the farmer of the theft. They can then pinpoint the location of where the equipment is and notify the authorities if necessary. The Micro Tracker has up to two and half weeks of battery life on a single charge, but other accessories such as the mini extended battery or the 4 month extended battery can extend the battery life. The extended batteries come inside a weatherproof pelican case so they can withstand conditions such as rain, snow, mud, and other conditions prevalent with farming. Multiple units can be added underneath one account, which allows multiple pieces of equipment to be tracked. Insure your equipment remains safe with GPS Tracking Tracker’s GPS Trackers. Contact us today for a price quote on multiple pieces of equipment. This entry was posted in Uncategorized and tagged 3g tracker, equipment tracking, farm tracking, gl 200, gl 300, gps device, gps locator, gps tracker, gps tracking, micro tracker, miniature tracker, phone tracking, portable tracker, tracking device, tracking sytems on July 6, 2016 by admin. GPS Tracking devices can be used in large theme parks in order to track the location of children. In large theme parks such as Disney World and Six Flags Great Adventure, it is possible for children to go missing for periods of time. With the use of a GPS Tracker, parents can keep tabs on their children and know where they are at all times. Even if a parent isn’t at the park, they can still use their phone or computer to ensure their child’s safety while in a large theme park. It is very easy for children to wander around theme parks, so GPS Trackers provide an extra layer of safety. The portable Micro Tracker is a GPS Tracking device that can be used to track children. The child just places the device in his or her pocket or bag. The parent or caregiver can then track the child’s location using their phone or computer. They can see where they are at all times so they can make sure they don’t leave the park. Alerts may even be provided via text and/or email if the child does leave the park. A panic button is placed on the front of the device, so if a child presses that button in case of an emergency, a text message will be sent immediately to the parent or caregiver. These extra safety features make the Micro Tracker one of the most reliable GPS Trackers for children. Contact GPS Tracking Tracker for more information and to place an order for the Micro Tracker today. Discounted rates apply for large purchases. This entry was posted in Uncategorized and tagged 3g tracker, camp gps, child gps, child tracker, gl 200, gl 300, gps device, gps locator, gps tracker, gps tracking, micro tracker, miniature tracker, park tracking, phone tracking, portable tracker, road trip tracking, tracking device, tracking sytems on June 29, 2016 by admin. GPS Tracking Tracker is offering its brand new 3G GPS Tracker along with a one month miniature extended battery at a discounted price. The 3G Tracker and mini extended batteryare currently on sale on Amazon at the discounted price of $229.00. The 3G GPS Tracker contains all the same features of the Micro Tracker except it runs off of the 3G network as opposed to the 2G network. This allows for a stronger cellular signal and less signal interruptions. The 3G GPS Tracker can be tracked using any smartphone, tablet, or computer. The miniature extended battery is a weatherproof case that features a magnet at the base. The 3G GPS Tracker is placed inside the case and can then be attached to any magnetic surface. The mini extended battery is weatherproof so it can withstand precipitation such as rain and snow. The battery is rechargeable and depending on the interval updates, can extend the battery life of the 3G Tracker to up to two months. Visit our Amazon page in order to place an order and for more information. This entry was posted in Uncategorized and tagged 3g gps, 3g tracker, 3g tracking, gl 200, gl 300, gps device, gps locator, gps tracker, gps tracking, micro tracker, miniature tracker, phone tracking, portable tracker, tracking device, tracking sytems on June 15, 2016 by admin. GPS Tracking Tracker’s miniature Micro Tracker can be used for maritime tracking. Many ships often misrepresent their port of call during the voyage. The Micro Tracker can be used in order to secure a portable GPS Tracker to a ship, which can then be tracked using any smart phone or computer. The Micro Tracker has a rechargeable battery that can last up to two and a half weeks on a single charge. Other accessories can extend the battery life of the Micro Tracker such as the miniature extended battery and the 4 month extended battery. Each accessory comes inside a weatherproof case, which will protect the device from water and other conditions. The GPS Tracking software will provide information such as the location, satellite view, breadcrumb trail, and up to six months of report history. Perimeters can be configured that will notify the user if the ship enters or exits that area. Text/email alerts can be configured via email and/or MMS. Multiple units can be added on one account in order to track more than one ship. The Micro Tracker now comes equipped with an international SIM card, which allows it to be tracked through international waters. Contact GPS Tracking Tracker for more information as well as a price quote. This entry was posted in Uncategorized and tagged boat tracking, gl 200, gps device, gps locator, gps tracker, gps tracking, maritime tracking, micro tracker, miniature tracker, phone tracking, portable tracker, tracking device, tracking sytems on May 25, 2016 by admin. Computers such as desktops and laptops can be tracked using a portable real time GPS Tracker inside the computer. The portable Micro Tracker can either be placed inside the actual computer or inside the shipment containers. Computer Tracking is ideal for businesses and large organizations that distribute computers throughout the world. The destination of the computer can then be tracked using any smart phone, computer, or tablet device. The battery life of the Micro Tracker can last up to two and a half weeks on a single charge. More than one GPS Tracker may be added to the same account. The GPS Tracking software allows the computer’s location to be tracked and text/email alerts may be configured to be sent to the user. Other features of the GPS Tracking software include street view, satellite view, breadcrumb trail, and up to six months of report history. The breadcrumb trail will provide a start and finish point of the GPS Tracker, so that the user can see the route the computer took to arrive at the designated location. Large organizations may be seeking a cost effective solution to ensure that their merchandise arrives safely and secure. With the use of portable GPS Trackers, companies can rest easy knowing that their merchandise is secure. If for some reason the computers turn up at the wrong location, the GPS Tracker will be able to pinpoint the exact location of the merchandise. Contact us today in order to receive a full price quote and how computer tracking may be the perfect solution for your company. This entry was posted in Uncategorized and tagged computer tracking, gl 200, gl 300, gps device, gps locator, gps tracker, gps tracking, micro tracker, miniature tracker, phone tracking, portable tracker, tracking device, tracking sytems on May 17, 2016 by admin. The Hard Wire Tracker is a real time GPS Tracker that is professionally installed behind the dashboard. It updates the location of the vehicle every minute and can be tracked using any smart phone, tablet, or computer. The Hard Wire Tracker also features a kill switch which can be used to remotely disable the ignition from any location. The ignition will be completely disabled and can be turned back on at a later time. This is perfect in order to prevent vehicle theft or from a child using the vehicle without permission. The video below will explain all the features of the Hard Wire Tracker as well as the kill switch. This entry was posted in Uncategorized and tagged gps device, gps kill switch, gps tracker, gps tracking, hard wire tracker, phone tracking, tracking device, tracking sytems, vehicle tracker on April 27, 2016 by admin.